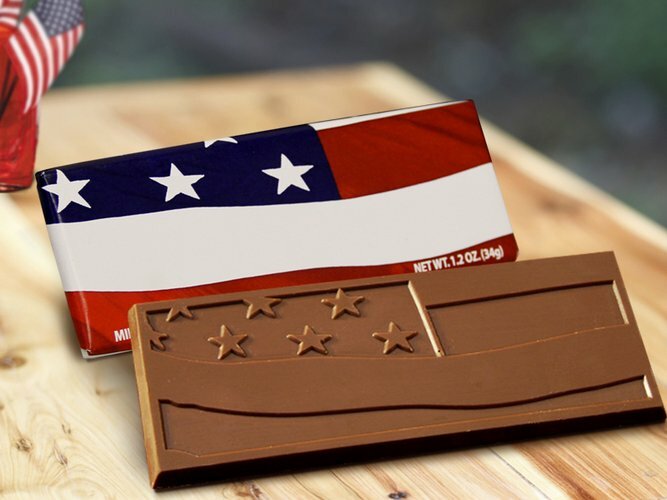 Stars & Stripes Chocolate Wrapper Bars-Large. Milk Chocolate. Each bar measures 2" x 5".